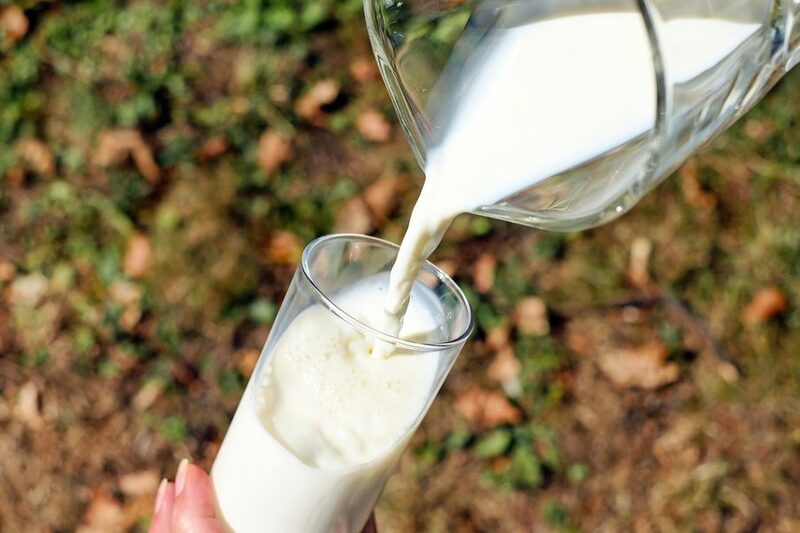 A STUDY DONE BY KAISER PERMANENTE RESEARCHERS SUGGEST THAT WOMEN DIAGNOSED WITH EARLY-STAGE BREAST CANCER WHO EAT FULL-FAT DAIRY PRODUCTS AFTER DIAGNOSIS ARE MORE LIKELY TO DIE FROM BREAST CANCER THAT WOMEN WHO EAT LOW-FAT DAIRY PRODUCTS AFTER DIAGNOSIS. The hormone estrogen stimulates breast cell growth, including the growth of hormone-receptor-positive breast cancer cells. Estrogen is created and stored in fat cells. Many researchers believe that dairy products eaten in the United States and other Western countries have high levels of estrogen and progesterone in them because most of the milk is produced by pregnant cow. So it might be possible that low-fat dairy products have lower levels of estrogen and progesterone because most of the fat has been removed. This suggests that low-fat dairy product may b e a better choice for women who’ve been diagnosed with breast cancer, especially hormone-receptor-positive breast cancer. Butter The women were followed for about 12 years.The researchers found that who reported eating one or more serving per day of full-fat dairy products had a 64% higher risk of dying from any cause and a 49% higher risk of dying from breast cancer compared to women who ate fewer servings per day of full-fat dairy products or women who ate low-fat dairy products. While this study shows an association between full-fat dairy products and worse breast cancer outcomes, it doesn’t prove the first causes the second. Much more research is needed on the potential link between full-fat dairy products and breast cancer.